For 22 long years while residing at Maui, a simple chef named Mark Ellman and his beautiful wife Judy, along with their daughters Michelle, Ariana and Tina, have opened up a chain of restaurants in Hawaii. The restaurants Mala Ocean Tavern, Maui Tacos, and Penne Pasta Cafe are all the fruits of the family’s hard work and dedication. Before all the success, Mark was originally working in a Calabasas-based Mexican restaurant as a cook, while Judy was a bartender. It was love that brought them together, and from this love their pioneer restaurant in Sherman Oaks known as Cuisine Cuisine was born. Italian cuisine was their main offerings, with their homemade pasta gaining them both great friends and reputation. Not too long after that, they needed to move to Colorado in order to get better environment, but they found the place too cold, which is why they decided to finally move to Hawaii in 1985. It was in Maui that they found a place they can call home. Two years after arriving at Maui, the couple did not waste any time and opened up the now famous Avalon Restaurant and Bar located at downtown Lahaina. It was in this time that Mark created a chain of Pacific Rim Cuisine, in which eleven skilled chefs joined him to assemble what is now known as the Hawaii Regional Cuisine Movement. It was in this revolutionary body that granted each chef their own chapter and a delectable array of recipes. After quite some time, they were feeling the cravings for Mexican food from their place in Los Angeles, which is why in 1993 they started opening up small taco stands named Maui Tacos. They were able to add eight more taco stands all over the three islands of Hawaii, with a concoction of Mexican and Maui cuisines. All their meals were so affordable, that no meal was beyond $8.95. Seeing the success of their Maui Tacos, they decided to focus here more and ultimately decided to close down Avalon. Mark Ellman did not want his Italian heritage to go down the drain, and in 2001, Penne Pasta Cafe came to life. It is here in Penne Pasta, which is now in its 6th year, where Mark and his customers get to enjoy savoury roast chicken, fresh island fish, lamb osso bucco, salads, and of course, what is Italian cuisine without those paper-thin pizzas and “al dente” pastas? Mala Ocean Tavern was not too far behind, opening up in 2005, and is mainly offering Pacific Rim and Mediterranean cuisine – even a few Latin-themed dishes. One of the secrets of Mala Ocean Tavern was in the standards of Mark and Judy in hiring their employees – this is also very evident even in Penne Pasta and Maui Tacos. The couple’s business partners, Sergio and Pepe, have worked well as a team in providing excellent management in their food chains. The restaurants would also not be what it is today if not for GM Lisa Chappel and Master Chef Gregory Denton, who are both considered the restaurant rock stars. Lisa’s charms and savvy has brought about exceptional personnel and customer relations, while chef Denton’s dedication and love for cooking has given life and unique taste to all his dishes, especially his soups and sauces. He is a very aggressive guy, always bringing new ideas to the table and ready for any challenge. It is for this reason that the couple wants to help him open up his own place too, where they know he can be far more successful. It has been the couple’s objective to always make people happy with their great food, which is made only from the freshest and healthy organic ingredients. The couple also enjoys sitting by the Mala Wharf – a well known pier, especially to sailors, famous for its view of the whaling town Lahaina. In Hawaii, Mala means garden and simply gazing at the breathtaking views of the ocean and the Molokai and Lanai islands can easily blow you away. It is from this place that the couple got the name for one of their restaurant, which is Mala – a place they consider to be their own little heaven on Earth. 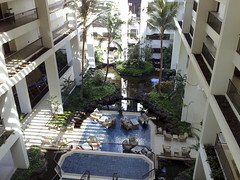 There is so much to enjoy – the inspiring stories, the sumptuous dishes and the warm and relaxing ambiance of Maui. At thirteen years old, Patrick Callarec has decided to start his culinary career at a school in Menton, France. It was in Cannes that he had his first job, which was primarily at Hotel Martinez and then transferred to Hotel Carlton. Patrick was not quite satisfied with his achievement, which is why he decided to fly to abroad in order to sharpen his culinary skills, in the hopes of one day enjoying a prosperous career in North America. Upon arriving at Toronto, Canada, he was able to get a job at the Four Seasons’ Inn. Not long after that, Patrick travelled to the southern part of the United States and landed a job in Ritz-Carlton Hotel located in Chicago. In Texas, Patrick was able to grab a multitude of experience working for reputable establishments such as La Bonne Auberge, Seascape Inn Restaurant, Silvanos Restaurant and The Registry Hotel/Grand Kempaski Hotel which were all in Dallas. He also worked in a Houston-based hotel named The Meridien. He then came back to the Ritz-Carlton company, but this time in Marina Del Ray California, Atlanta Buckhead, and ultimately as Kapalua Maui’s executive chef. In Olowalu, Patrick was able to realize his life-long dream when he was able to take hold of the Chez Paul Restaurant. Not long after that, his culinary works became so well-known that it was featured by many leading newspapers and magazines, even on national TV! Among his many awards and achievements include: Honolulu Magazine’s “Hale Aina Award”, the highly celebrated Five-Star Diamond award and the “Chefs in America Award” by the Grand Master Chefs Directory. Only time can tell just how many more awards and achievements in life he can get a hold of. Chef Patrick is invites you to experience his extraordinary culinary works and have a great time while you in Maui. It was Sam Choy’s parents who introduced him, along with his siblings, to a great array of foods while they were young. Each member of the family was assigned their own cooking tasks, both in their home and in their restaurant, which was owned and managed by his father. During weekends, all of us are very busy in preparation of traditional Hawaiian luaus, for tourists that can easily accumulate to 800! Sam Choy, who born by a Hawaiian-German mother named Clairemoana, was sent to the local Kapiolani Community College in the hopes of getting him jive with books and ultimately finding something that suits his interests. It was not too long when Sam realized that it was with culinary arts that his heart belongs, that it was while cooking that he was at his happiest. .
Sam initially worked in many establishments, particularly in kitchens of premier Hawaiian hotels. After earning enough capital, he was able to open his debut restaurant in 1981, which was located on the big island of Hawaii. He is now operating 2 restaurants in Honolulu, with 1 branch each on Japan and Guam. Sam knows that with the achievements he reached in his life, his dad Hung Sam Choy would have been really proud of him. Sam quotes that his success can be attributed to the variety of flavours and cultures that is uniquely Hawaii. The old saying that “Lucky you live in Hawaii” has really lived up to the hype. Besides this, Sam also notes that there aren’t many places in the world which is comparable to the beauty that is Hawaii. It is here that you can find seemingly endless supply of fresh cuisine – be it seafood, fruits and vegetables, beef and poultry. The way people cook their food in Hawaii is truly one of a kind, something that has made it truly distinct and renowned not only in the region, but also around the globe. This is the meaning of Island Cuisine…Sam Choy style. Being a culinary pioneer, it has always been chef and businessman Peter Merriman’s goal to liven up the culinary industry in Hawaii. He arrived in Hawaii in the year 1983, secured a job as a cook in the luxurious Mauna Lani Bay Hotel, where he eventually became promoted as the executive chef of the Gallery Restaurant. Mauna Lani became the setting for chef Merriman’s vision of pioneering the Hawaiian Regional Cuisine. He usually takes his work a step further in order to make sure of the quality and taste of his dishes. For example, he would climb high coconut tress to personally select the best coconuts for his spicy fish sauce. There was a time when he convinced a laundry truck driver to travel to the farthest side of the island, fetch him some “number 10” corn, which is a rare species but really very sweet. Chef Merriman was the pioneer of popular Hawaiian dishes such as Poached Opakapaka with Snow Pea Puree and Ginger Lime Sauce, as well as Ono with Mango Sauce. He always sees to it that his ingredients all come from local sources. And because of this, his culinary expertise became very well respected and soared to higher levels. As his restaurant grew, he was able to strengthen his ties with local ranchers and farmers, thereby convincing them to new species of fruits and vegetables, as well as range-raised meats. This was so he can be able to directly purchase his ingredients from the farmers and ranchers, thereby ensuring their quality and freshness all the time. It didn’t take long before Waimea became known as the culinary crossroads for Hawaii Regional Cuisine. For Peter, an authentic Hawaiian Cuisine can truly be experienced in his signature restaurant. He expressed that the way their meals are cooked enable the natural flavours of the food to come out. Using excessive flavourings disguises the food and causes confusion in your taste buds. Peter wanted the farmer’s products to be the center of attraction and not the elaborate food preparation. He wanted his guests to truly experience the genuine flavours of organic produce such as the Lokelani Farms vine-ripened tomatoes and the Hirabara Greens. Chef Peter has standardized the way meals are prepared in Hawaii, particularly in using at least 90% of locally produced products in their dishes, as well as using organically grown products. Besides Merriman’s Waimea, Chef Peter was able to open up a restaurant named Hula Grill Maui in 1992 with the help of TS Restaurants. Up until this day, Peter still works as an operating partner of the said restaurant. November 2003 saw the opening of another restaurant brand named Merriman’s Market Cafe located at Waikoloa Beach Resort King’s shops on Hawaii’s Big Island. The cafe primarily offers coffee products in a casual and indoor/outdoor setting, as well as Mediterranean cuisine, which ranges from freshly made hummus in warm pitas to Moroccan tagine-roasted fresh island catch. As one of the original members of the Hawaii Regional Cuisine, Chef George Mavrothalassitis was able to open up his own restaurant named Chef Mavro. He was recently given the Best Chef Award in Hawaii and Pacific Northwest, by the world renowned James Beard Foundation. Now the restaurant has already garnered numerous achievements, including earning a Five-Diamond Rating given by the American Automobile Association or AAA in the year 2009, an 18/20 rating from the famous Gayot Restaurant Critics, and standing as the only restaurant in Hawaii who has entered the list of America’s Top 40 restaurants for 2008-2009. Being raised in Marseilles, chef Mavrothalassitis grew up in a world of fishmongers and farm-fresh flavours that only Southern France can offer. His signature culinary masterpieces can be traced back to his training and apprenticeship from contemporary French cuisine masters. His years of experience from managing Mavro Restaurant in Marseilles, as well as Restaurant La Presqu’ile in the seaside community of Cassis also served him well in his culinary career. Chef Mavro notes that one of his influences in his culinary career has been his life in Hawaii. He always remembers how one morning in Honolulu, he stared at the sunrise over the Waikiki Beach to the Diamond Head and mumbled to himself that this was the place he can call home. From that day onwards, the multi-cultured people and cuisine of Hawaii has been part of Chef Mavro’s heart, and he became especially close to groups of specialty fisherman and boutique farmers, who would eventually be his restaurant’s primary suppliers. In order to give tribute to his loyal agents, Chef Mavro gathered them on the 5th Anniversary of his restaurant and had them gathered around a Chef’s Table to personally thank them for being the pillars of his success. The people around Chef Mavro have truly paved the way to his success, people such as vanilla farmer Jim Reddekop, who has long been associated with Chef Mavro in opening the vanilla industry in Honolulu, as well as in New York. Quality is always his top priority, as exemplified by one of his regular fish supplier, Don Leong (Wing Sing Seafood), who says that Chef Mavro has always been very picky with buying seafood. Based on this and all the food preparation standards set by Chef Mavro, we could say that this restaurant the only one of its kind who truly focuses in the quality and freshness of the food they serve, as well as their unique way of presentation. A good example would be their food and wine pairing: unlike other restaurants who offer a separate list of wines, their menu selection will always have a wine suggestion that would be a perfect match for the said meal. On four Mondays each year, the restaurant is closed in order to hold a meeting with his staff, which includes waiters, cooks, as well as food and wine coordinators. It is in this time that Chef Mavro carries out a blind taste test for his wide array of wines in conjunction with his recipes. Whatever food and wine pairing will be chosen via democratic voting will be served to guests for a total of three months. Up to this moment, Chef Mavro still serves as a consultant for Hawaii’s culinary affairs and occasionally takes time to talk to new chefs and provide them with advice. He has also been able to hold many cooking classes for his staff and even provided master courses in many reputable culinary centers. Charitable activities have also been part of his itinerary, with focus given primarily on Hawaii Public Radio (HPR) and of course culinary arts. The restaurant also becomes the grounds for HPR’s fundraising activities which are held two times a year and many other significant events in Hawaii as well. 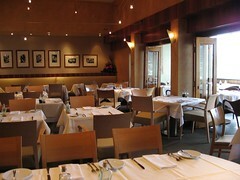 In the year 2004, his restaurant has been also the venue for holding cooking classes “A-la-Food Network”. Classes for the year 2008 accepted many reservations through Gourmet Cooking Hawaii. Meanwhile, “Cooking for the Love of It!” provided culinary enthusiasts with an exclusive experience with Chef Mavro, and also provided them with comprehensive demonstrations, food tastings, as well as a sumptuous gourmet lunch which includes a perfect match of their wine offerings. And don’t’ forget the fun and exciting stories that Chef Mavro is very well known for! Caroline Bates, who has served as Gourmet Magazine’s veteran critic, has described that Honolulu has never had a chef in the person of George Mavrothalassitis, that the combination of his creative culinary skills and exceptional standards have granted the city a dining experience similar to that of France’s three-star restaurants. Even gourmet editors agree that they would spend their time dining at Chef Mavro if they only had one night to spend in Honolulu. Chef Mavro restaurant was Hawaii’s pioneer in offering culinary lessons through streaming video in the internet. On the website chefmavro.com, you can see Chef Mavro concocting his culinary masterpiece called Onaga Baked in Hawaiian Salt Crust, surprisingly while riding the Waikiki waves. By blending various ethnic cooking techniques with the best quality island-grown ingredients, Chef Alan Wong sky-rocketed his name to international fame, creating a concoction of local cuisine and adding a contemporary twist. As one of the founders of the Hawaii Regional Cuisine Chefs, Chef Ala Wong was able to acquire the James Beard award for Best Chef-Northwest which was given to him in 1996. Also in the same year, he was included in the Wedgewood Awards list of 10 chef nominees vying for the title of World Master of Culinary Arts, as well as having his restaurant inducted in the Restaurant News Hall of Fame. Chef Wong has been part of Bon Appetit Magazine’s culinary legends, being tagged as the “Master of Hawaii Regional Cuisine.” His restaurant has been featured two times already in Gourmet Magazine’s rankings as the only restaurant in Honolulu to be classified as the top ten among the 50 best restaurants in the USA. It was also Chef Wong, who authored the book New Wave Luau, who received numerous awards such as the Hale ‘Aina (10 times), and the Llima Awards in Hawaii, including “Best Restaurant” and “Restaurant of the Year”. Being the owner and chef of both Alan Wong’s Restaurant and Honolulu’s Pineapple Room, he also managed to open up a branch in Disneyland, Tokyo, Japan. You might have already heard of Chef Roy Yamaguchi, as he is currently a contender in the reality cooking show called “Top Chef Masters” by Bravo. Originally from Tokyo, Japan, he migrated to the America to study in the Culinary Institute of America, which is based in Hyde Park, New York. Upon graduation, he was able to further hone his culinary specialties in French cuisine in Southern California, through the mentorship of L’Escoffier and L’Ermitage under the tutelage of the late master chef Jean Bertanou. It was through his job at Le Gourmet and Le Serene where he was able to acquire his status as a chef. It was at 385 North on Hollywood’s La Cienega where Chef Roy Yamaguchi was able to launch his very own restaurant business in the year 1984. It was in this restaurant where Chef Roy’s cooking prowess really flourished, with Bon Appetit describing it as “California-French-Japanese-eclectic”. In 1988, in a move to renew his relationship with Hawaii, Roy Yamaguchi left his young family after dissolving his L.A. partnership and resided in the East side of Honolulu – Hawaii Kai. Not long after opening his own restaurant there, his restaurant became the subject of numerous awards and achievements, including being recognized by Food & Wine as “the crown jewel of Honolulu’s East-West eateries.” At that time, the restaurant was the only of its kind. Roy’s restaurants currently expanded into 37 branches all over the world. Another top-notch achievement of Roy Yamaguchi’s restaurant has been winning the illustrious James Beard award. Besides appearing as a guest in the reality show “Iron Chef”, Chef Roy also authored four cookbooks, and even had his own show named “Hawaii Cooks”, where he was the host.